Storage units hold an important place in our daily lives. They are of high importance for people, businessmen and retailers alike. Everyone needs to store something or the other. Right from personal storage units to commercial storage units to warehouses, these provide the right ambiance for people with storage needs. So what are the facilities that storage units offer? 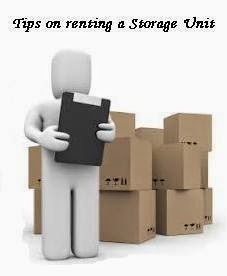 What should one look for while hunting for a storage unit? Let’s find out. 1) Security: Perhaps, the most important facility for any storage unit, security is of utmost importance. All the units should ideally provide you with latest in security systems, CCTV surveillance, magnetic access cards, infra-red camera systems and even updated written customer logs. In short, security should be the first priority for any storage unit. 2) Safety / maintenance: Another important feature, the safety and maintenance of a unit should also be taken into account. The floors and walls should be extremely clean and dry. There should be no cracks or breakage of any form which can allow rodents, insects, etc to enter and create havoc. They can end up damaging many of your belongings especially if there are any perishable items. A fire extinguisher and other equipment related to fire prevention should also be present in the units. 3) Air-conditioned facilities: Air-conditioned facilities are climate controlled which help in keeping moisture out from the units which keeps documents and other things like perishable items, seasonal objects, etc. safe and fresh. Thus making it possible for round the year availability of them. 4) Packaging materials and professionals: Many units provide packaging materials like boxes, tape, bubble bags, etc. for packaging of materials and belongings. They also provide professional people who can pack and transport your belongings from your residence/office to the units without damaging them. 5) Value added services: Like packaging materials and professionals, value added services like trolleys, cranes, ladders, etc. are also provided for better access within the units for loading and unloading of belongings. 6) Third party insurance: Customer satisfaction and safety of goods is the prime concern and objective of these units. Therefore third party insurance is of utmost importance. Many units provide a third party insurance coverage for goods. This facility shows how much the unit manager is concerned for the welfare of his/her customers. These are some of the facilities that a storage unit ideally provides. Make sure you check for them before moving in any of your belongings. Remember, you are going to invest your hard-earned money and store things that are valuable to you. Make sure you don’t compromise on anything. Happy storing!